The huge massif of Kangchenjunga is buttressed by great ridges running roughly due east to west and north to south, forming a giant 'X'. These ridges contain a host of peaks between 6,000 and 8,000 metres. 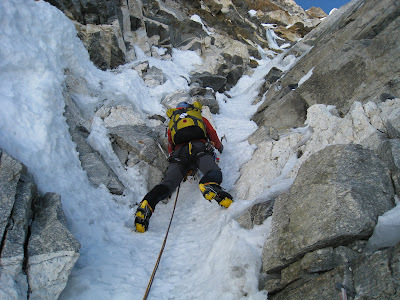 On the east ridge in Sikkim, is Siniolchu (6,888 m/22,600 ft). 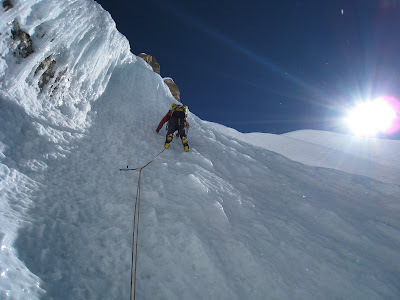 The west ridge culminates in the magnificent Jannu (7,710 m/25,294 ft) with its imposing north face. To the south, clearly visible from Darjeeling, are Kabru North (7,338 m/24,075 ft), Kabru South (7,316 m/24,002 ft) and Rathong peaks (6,678 m/21,910 ft). 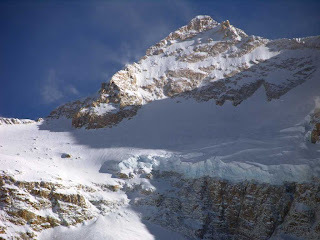 The north ridge, after passing through the minor subpeak Kangchenjunga North (7741 m/25,397 ft), contains The Twins and Tent Peak, and runs up to the Tibetan border by the Jongsong La, a 6,120 m (20,080 ft) pass. Kangchenjunga is known for its famous views from the hill station of Darjeeling. On a clear day, it presents an image not as much of a mountain but of a white wall hanging from the sky. The people of Sikkim revere Kangchenjunga as a sacred mountain. Permission to climb the mountain from the Indian side is rare, but sometimes allowed.